Story, a hi-concept shop in NYC, recently interviewed Susan Kare about her designs for Windows 3.0, Apple and the creative process behind her design. Read more on Story. When it comes to digital iconography, Susan Kare’s pioneering influence is undeniable. Designing thousands of icons since 1983, her art is not only some of the most recognizable, but probably the “most-clicked on” of all time. After our conversation with Areaware about their physical reinterpretation of Kare’s original Windows 3.0 Solitaire designs, we had to speak to the woman, the legend, the “icon” herself. We spoke with Kare about creating icons for digital platforms, the ’90s, and where she turns for inspiration. Story: Today we take for granted that we interact with iconography via digital platforms on a daily basis, but your use of icons pioneered the way people engage with technology. When first tasked with creating icons for the “computer for the rest of us,” can you explain what your thought-and-decision-making process was like? Susan Kare: The concept of the “computer for the rest of us” had great personal appeal to me as I didn’t have any engineering background. The whole team was focused on designing the Macintosh to appeal to non-technical users. I tried to incorporate everyday metaphors, a little nostalgia, and a little humor in the interface graphics in hopes of making the computer less intimidating. 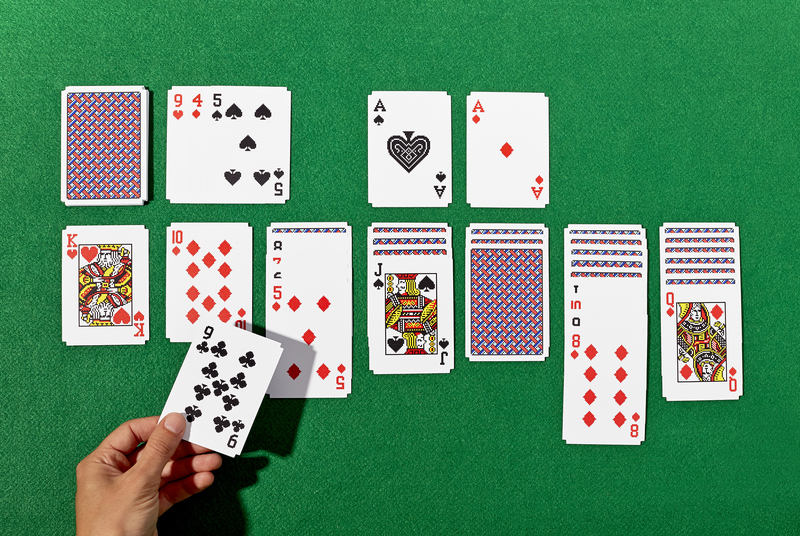 Story: Why do you think people feel so attached to the Windows 3.0 Solitaire card design? Susan Kare: I’ve regularly seen comments online that Solitaire was how people procrastinated before there was Facebook and Twitter, and I think there’s some truth to that. It was free (with the operating system) and it was fun! In addition, playing Solitaire is how a lot of people learned how to drag and drop files.